Midwestern Barns. Oil on canvas. 23"x 34.5"
Categorized as a neo-regionalist by historians, Smith feels his work warrants a broader interpretation. His work is grounded in his youth in rural America, a time he has artistically interpreted. His art often celebrates the values of hard work and self-reliance, and, more recently, the evolution of contemporary rural America. These aspects of Smith's life are the catalyst for his distinctive style. Living in the West, he presents a vision of the New West. "Large, bold shapes, emotional color, and minimal detail are the substance of my craft," Smith says. "Much is implied for the viewer to feel. All elements of a painting must come together to be a unified whole." Often the viewer may sense a spiritual connection between earth and humanity. Smith's subject matter has evolved throughout his career. His focus includes the figurative and domestic, the hand of man on the landscape, and the simple beauty of landscape in the rural West. Smith's work has been collected by museums and collectors internationally. 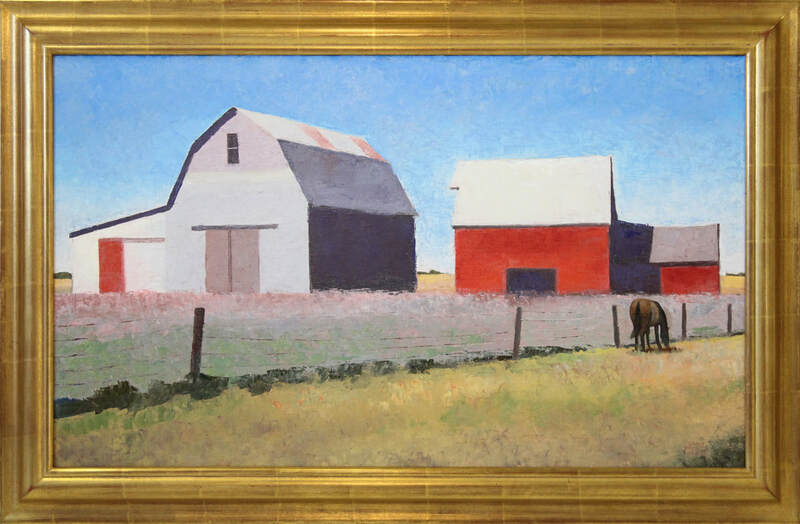 His three-year exhibit, Journey in Search of Lost Images, which is comprised of paintings that depicted Smith's early influences in Oregon, hung in 22 museums across the United States. In a group exhibition curated by the Brooklyn Museum Of Art, his work visited the Orleans Contemporary Art Center, San Jose Museum of Art, Palm Springs Desert Museum, and other prestigious art institutions. His work is in the permanent collections of the Phoenix Art Museum; Denver Art Museum; Museum of American Art, Youngstown, Ohio; Springville Museum of Art; Buffalo Bill Center of the West; Desert Caballeros Western Museum; and other prestigious institutions. Publications include Southwest Art, Art of the West, Western Art Collector, American Art Collector, Western Art & Architecture, and many more catalogs, periodicals, and newspaper articles. A book of his work, Holding Ground: The Art of Gary Ernest Smith by Donald Hagerty, was published in 1999.